Sono Bello is Orlando’s premiere destination for body contouring and liposuction. 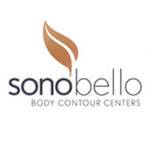 The staff at Sono Bello are anxious to slim your waist, contour your hips, and smooth your thighs. Sono Bello Orlando features the most advanced techniques performed by a highly trained aesthetic staff. Sono Bello’s elite facility in Orlando is decked out with the latest body contouring technology. They perform traditional liposuction, laser-assisted liposuction, SmartLipo™, Vaser Lipo™, and more. Sono Bello is dedicated to patient satisfaction. To make their treatments even more accessible, Sono Bello offers discounted packages to patients purchasing multiple sessions. Sono Bello Orlando is conveniently located just off of Interstate 4, near Universal Orlando. They proudly serve the residents of Orlando, Oak Ridge, Tangelo Park, Doctor Phillips, and beyond. Sono Bello serves residents of Orlando, Winter Park and more.